Katelyn helped raise $13,000 for the fight against breast cancer. Students in the WVHS Leadership Academy are required to choose a service project in the fall and then work on that project throughout the year. Junior Katelyn Pinskey set her sights on the fight against breast cancer, having been touched by the disease in her own family – her grandmother is a survivor – and seeing a family friend currently battling through it. Katelyn decided to support Avon’s Breast Cancer Crusade, forming a team for the May ’17 “AVON 39: The Walk to End Breast Cancer” and fundraising throughout the year. 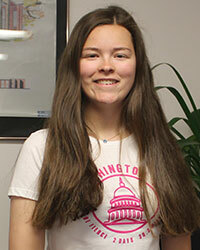 Through her fundraising efforts, Katelyn was able to raise an amazing $13,000 for the Avon Foundation for Women. 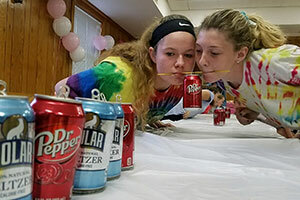 One of Katelyn’s major fundraisers this year was the “Minute to Win It” challenge held in April at the American Legion Hall. 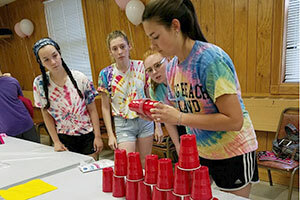 The event was based on the popular game show in which teams try to complete several deceptively simple games in a friendly competition. The contestants have 60 seconds to complete each challenge, which increase in difficulty as the game progresses. Additionally, Katelyn saw an opportunity to maximize the fundraising by selling ads to be printed in a brochure created for the event. She also sold chocolate bars and did a lot of networking and soliciting of private donations throughout the year, never letting up in her efforts to raise as much money as possible through her project. It’s clear Katelyn really believes in Avon’s breast cancer crusade, and supports their mission to sponsor more research and help cancer patients with logistics like traveling for treatment, along with early testing. Katelyn’s team of five included her mom, her aunt, two family friends and herself. Together they walked 39.3 miles from Washington DC to Maryland on May 6-7! 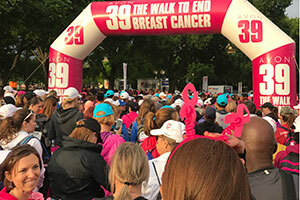 Ahead of the event, each walker also fundraises a minimum of $1,800, which is funneled by the Avon Breast Cancer Crusade to local and national organizations that help individuals, regardless of their ability to pay, get the breast cancer health care they need. After walking 26.2 miles on Day 1, participants camped out at Meadowbrook Park. 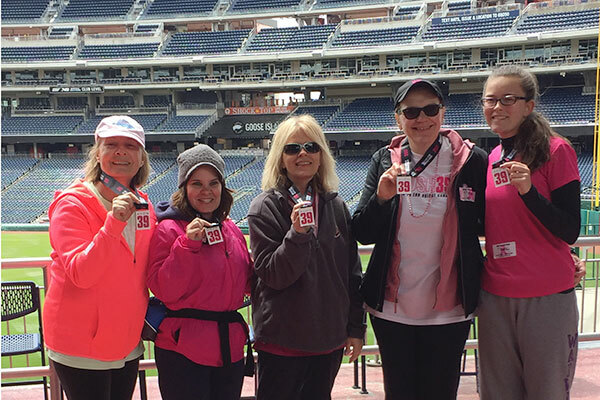 They continued their walk the next day with a 13.1 mile trek, ending at Nationals Park, where they celebrated their achievement with family and friends. 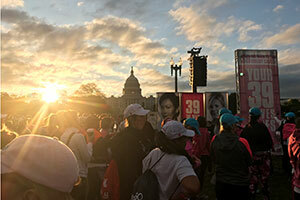 This year, about 1,500 people participated in the event in Washington DC, raising $4 million. Katelyn is proud of her team, and hopeful the money raised will help save lives and maybe play a part in finding a cure. Katelyn Pinskey, mom Kelly Pinskey, aunt Cathy Pinskey, and friends Patty Rodriguez and Susan Jones celebrate finishing the 39-mile walk at Nationals Park.